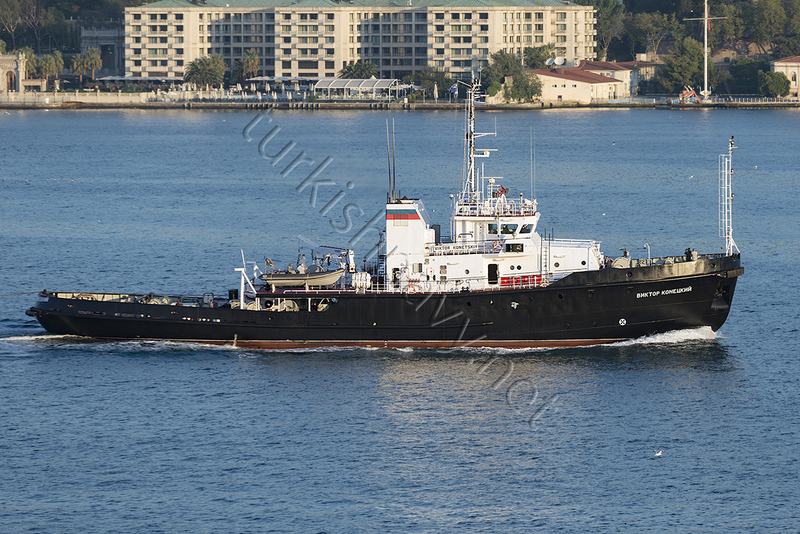 Russian modified Sorum class tug Viktor Konetskiy passing northbound through Istanbul. 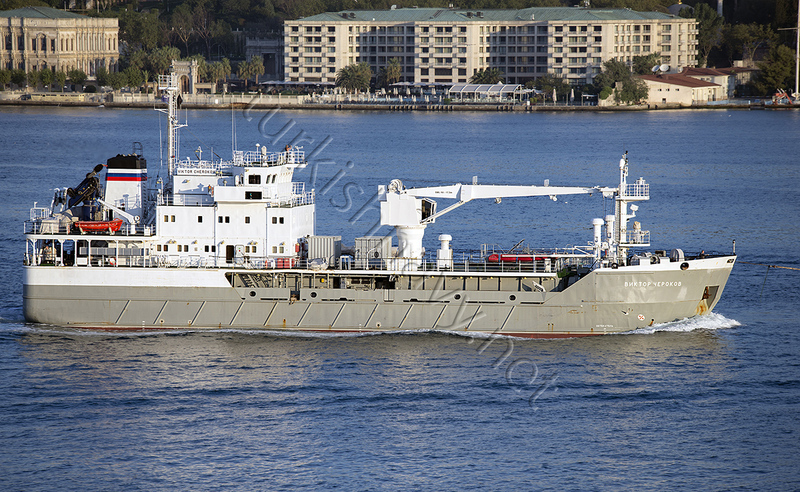 She is pulling the armament carrier / special test vessel Viktor Cherokov. 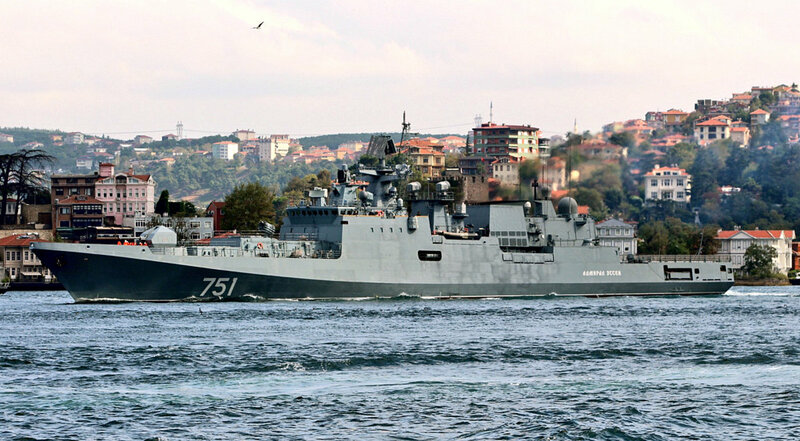 Russian naval auxiliary Viktor Cherokov made her inaugural northbound passage through Istanbul. She was initially, laid as armament transporter but when entered into service she was modified as an underwater weapons test ship. The newest warship of the Russian Black Sea fleet, Admiral Essen returned from her 75 days long deployment in the Mediterranean. Photo: Yörük Işık. 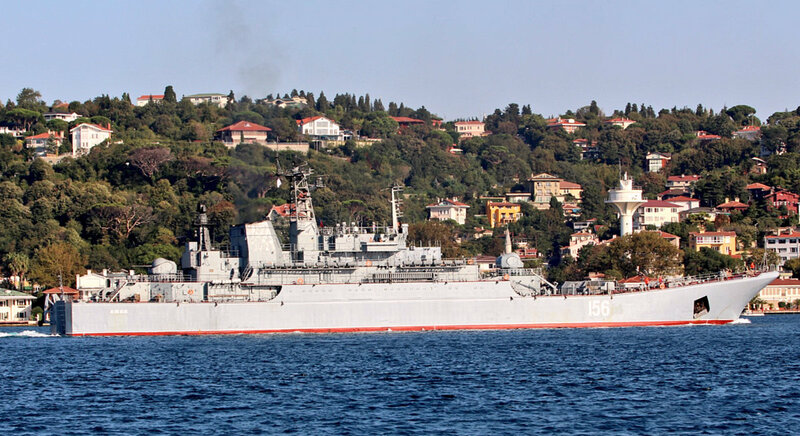 Russian Ropucha class large landing ship Tsezar Kunikov made her 7th southbound transitn through Istanbul in 2017. Photo: Yörük Işık. 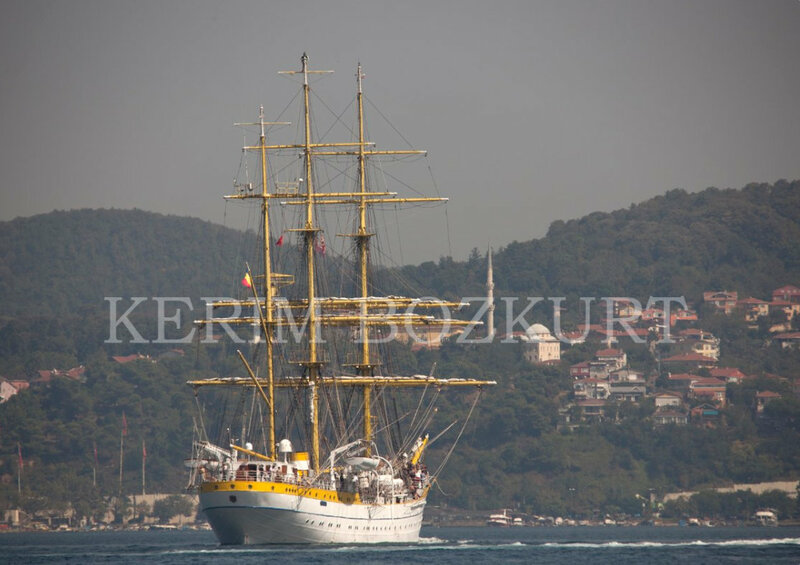 Romanian tall ship Mircea, sister of German ship Gorch Fock finished her sit in with the German Navy as her sister being overhauled and returned home. Photo: Kerim Bozkurt. Russian Ropucha class large landing ship Yamal made her 8th southbound transitn through Istanbul in 2017. Photo: Yörük Işık. Italian destroyer D-560 Luigi Durand de la Penne is one of the few warships still in active service that can fire more than two guns in a broadside. She has finished her training cruise and left the region. Photo: Yörük Işık. 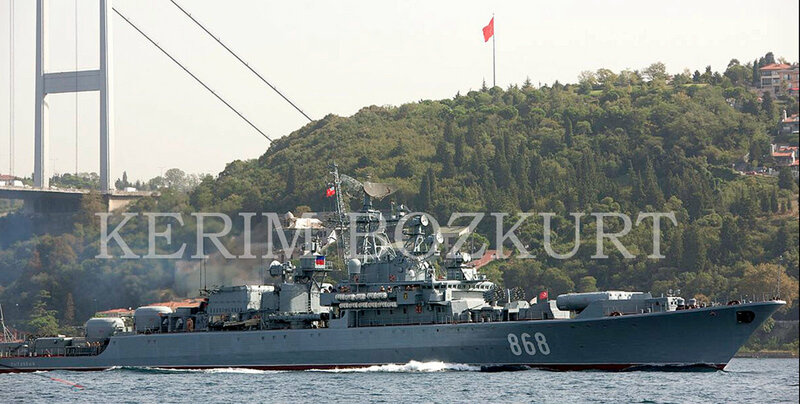 Krivak class frigate Pytlivy made a southbound transit through Turkish Straits. 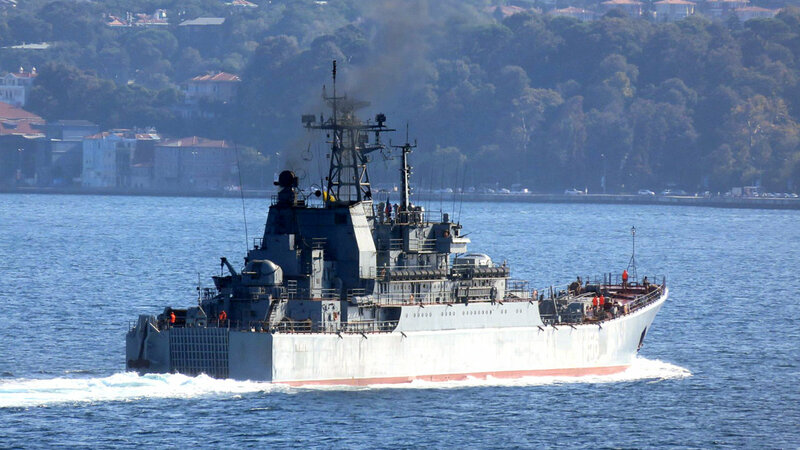 She will join Russian Fleet in the Med. Photo: Kerim Bozkurt. 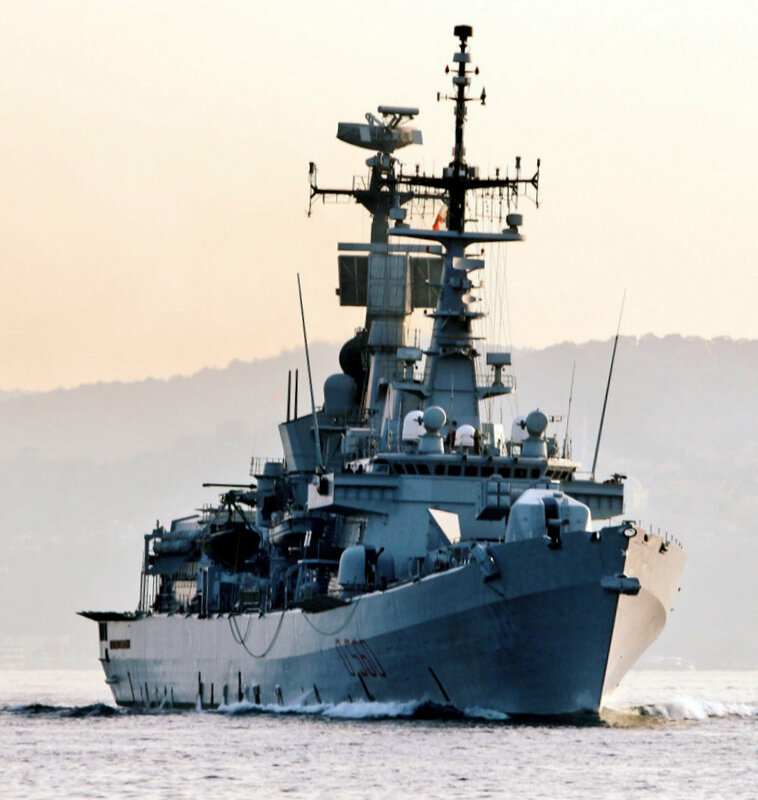 The list of the foreign warships passed through Istanbul Strait is here.